Beulah Wallin Freeman was our faithful periodontal hygienist for 32 years. It is with great sorrow that we inform you that Beulah passed away on Tuesday, March 10, 2015 at the Solace Hospice Center after a battle with cancer. She was diagnosed on October 20, 2014 with stage 4 internal metastatic melanoma for which minimal treatment options are available. She fought a very tough battle with bravery and a courageous spirit that many of us could only dream of ever attaining. Her Christian faith was very important to her and remained strong throughout her battle all the way to the end. A private family interment will be held at a later date. Her family has requested that in lieu of flowers, memorial donations may be made to the Melanoma Research Foundation, 1411 K Street, NW Suite 800, Washington, DC, 20005 or www.melanoma.org. Beulah’s family wishes to extend their gratitude to all of her Facebook friends and our apology to those of you who posted or emailed and did not get a response. She loved to come here to catch up on the “news” and chat with you. Unfortunately, her disease robbed her of her energy shortly after her diagnosis and she was unable to come and chat much in the past few months. 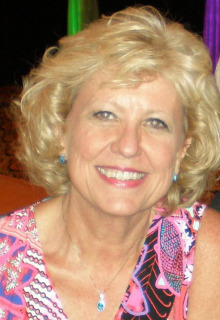 Beulah was loved by many and she was a wonderful mother, sister, friend and hygienist. She will be missed greatly. We hired another wonderful dental hygienist, Ivonne Norris, who completed her B.S. in dental hygiene at Loma Linda University School of Dentistry in Loma Linda, California in 1993. She worked with periodontists in California, and is also gentle but thorough like Beulah. Ivonne is now providing quality dental hygiene care at another local dental office.